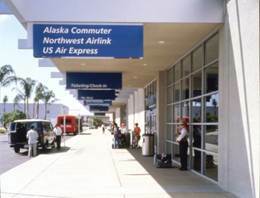 In order to free jet gates at the existing terminals, the Airport Authority decided to relocate six regional carriers into a separate, standalone facility. 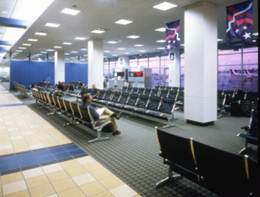 Because of EIR restrictions, a limited budget and the need to open the facility before a major convention, the Authority and the consultant team decided to remodel an existing USAir hangar facility to serve as a commuter terminal. 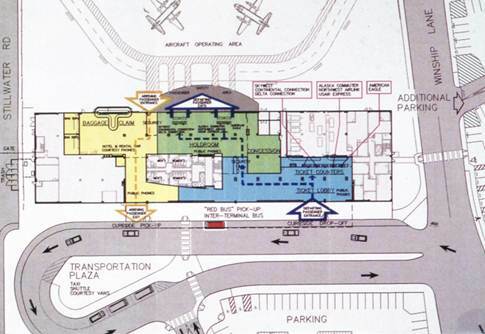 The 40,000 sf facility is a full service facility featuring airline check-in, departure and arrival areas, and F&B concessions. 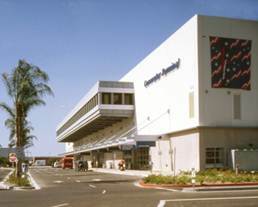 The $6 million commuter terminal was completed in eight months, from design through construction. Gerhard Pichel, GPA president, was the project principal on this project while employed with another firm.